Robert Miller, the vice president for research, announced at a Faculty Senate meeting earlier this month that the Office of the Vice President for Research will increase its funding for research focused on creating new medical therapies and procedures. Officials want to encourage researchers to develop new ways to treat illnesses and medical disorders. Robert Miller, the vice president for research, announced at a Faculty Senate meeting earlier this month that the Office of the Vice President for Research will increase its funding for research focused on creating new medical therapies and procedures. Officials said the boost will provide faculty and researchers more opportunities to collaborate with outside organizations, like Children’s National Health System, and improve the University’s research reputation. Miller said clinical and translational research is “highly collaborative” and allows for opportunities to partner with industry, government and nonprofit organizations. He said building GW’s clinical and translational research portfolio will require strengthening partnerships with organizations like the GW Hospital, the Medical Faculty Associates and Children’s National. Miller added that GW is the academic partner of the Clinical and Translational Science Institute at Children’s National, which is funded by the National Institutes of Health and aims to provide resources for and train clinical and translational investigators. Miller said the University must streamline administrative processes to ensure compliance with regulations that govern clinical research and the protection of research subjects. He said he anticipates that the faculty-led research review that launched last year will culminate with recommendations on how to improve the research enterprise, measure GW’s success and identify resources that can expand clinical and translational research at the University. “Given the interdisciplinary nature of research, these enhancements will impact departments and units across campus, particularly those that conduct and collaborate on biomedical research,” he said. Stephen Teach, the chair of the pediatrics department and the associate dean for pediatric academic affairs, said that through the partnership, researchers focus on areas like mental health, asthma, obesity and infant mortality. 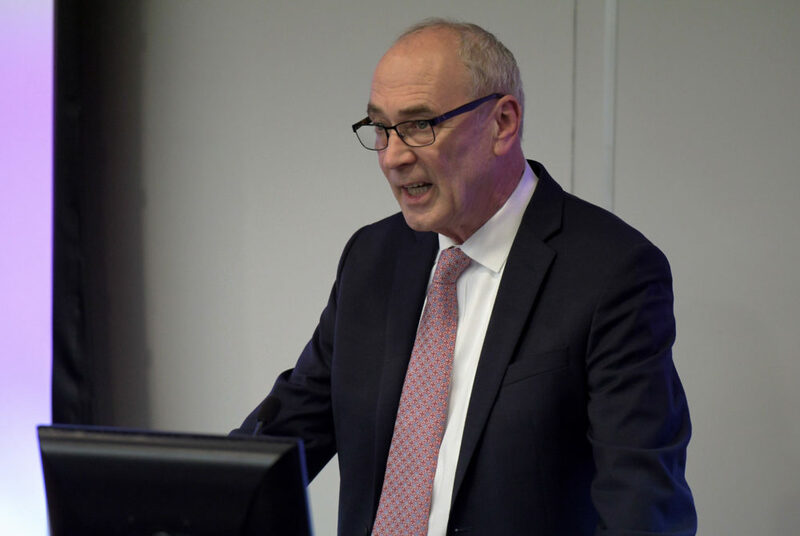 A spike in funding for clinical and translational research would ensure that GW and Children’s National become national leaders in developing new therapies and improving treatment outcomes for patients, he said. Leo Chalupa, the former vice president for research, said engaging in clinical and translational research is advantageous to GW because the NIH has prioritized projects under these themes. He said that while GW has “lagged” in clinical research in recent years, one exception is the GW Cancer Center, which he said has achieved “considerable success” in translational and clinical research. Chalupa said that when he was vice president for research, he convinced the finance division to increase the budget of the Office of the Vice President for Research and specifically provide funding to support clinical research. He said the move resulted in a “substantial” increase in grants secured by clinical faculty at GW. He added that when the “budget crunch” came about five years ago, the extra funding for clinical research was withdrawn. The University cut $8.2 million from its strategic plan funding in 2014 after GW lost about $10.9 million in estimated revenue when graduate enrollment unexpectedly dropped. “I hope that now that GW financial situation has stabilized, funding targeting clinical and translational research can be restored and even increased,” Chalupa said in an email. This article appeared in the January 28, 2019 issue of the Hatchet.